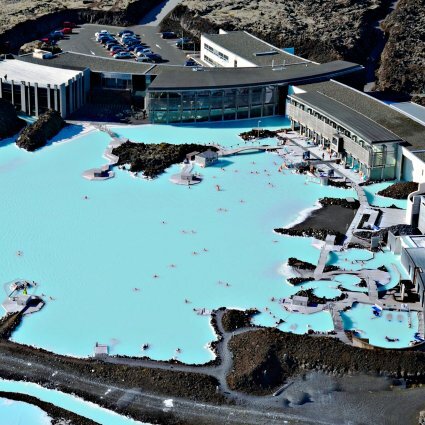 Relax in the cozy and warm waters of the Blue Lagoon before your flight departure. This transfer will take you from your hotel / a nearby bus stop in Reykjavik to the Blue Lagoon where you can relax before your flight. After the bath in the lagoon you can choose a departure to the airport that fits best with your flight time. Please note that both transfers are non-guided. Luggage storage is available at the Blue Lagoon for a small fee. You can bring the things you need for bathing in a separate bag. The Blue Lagoon works with flexible rates depending on availability on each day / entrance slot. The stated price is a from price. In case the entrance is higher, we will inform you before booking. This service is only bookable in combination with one of our tours.